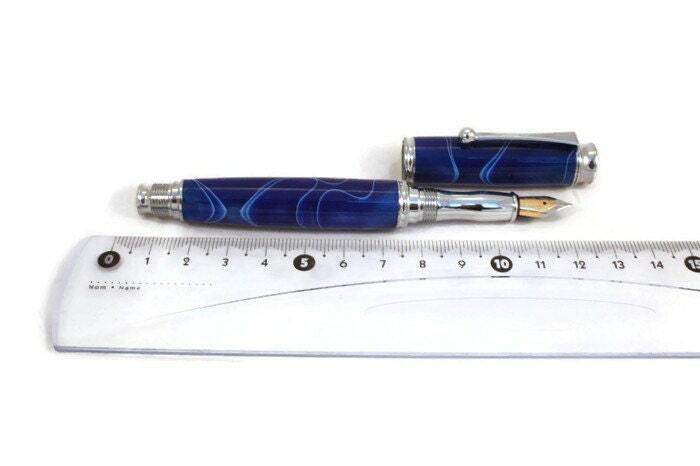 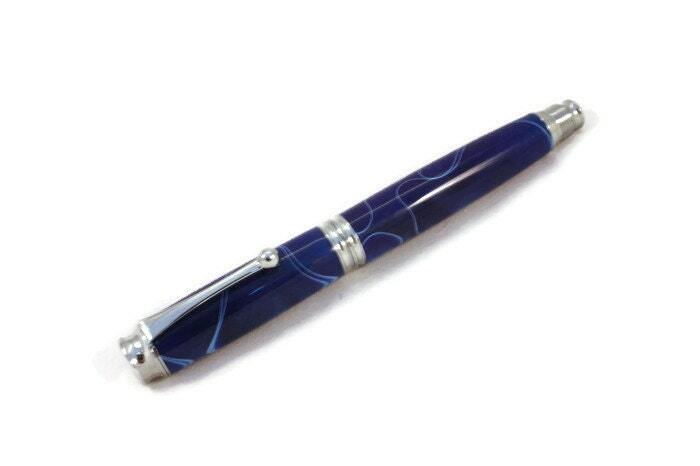 Handmade Blue Acrylic 'Posted' Fountain Pen. 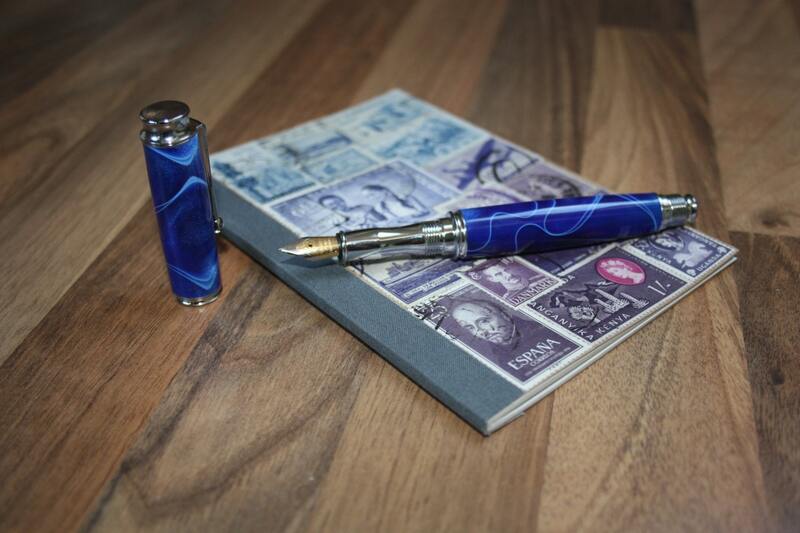 - Handmade 'posted' fountain pen made from a solid piece of blue acrylic. 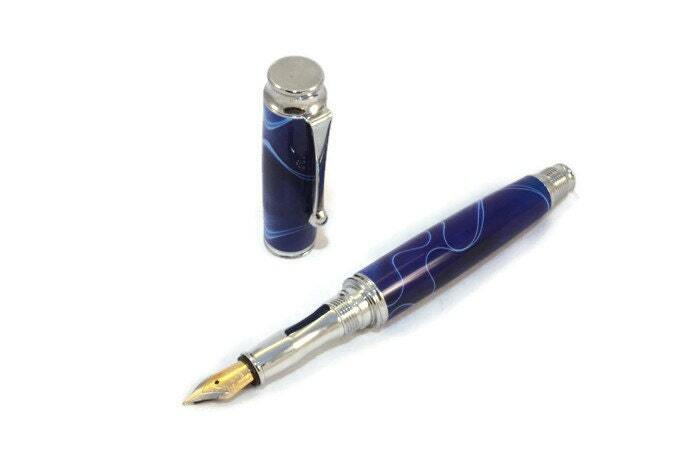 - Accepts small 'International' ink cartridges, or a refillable ink reservoir. 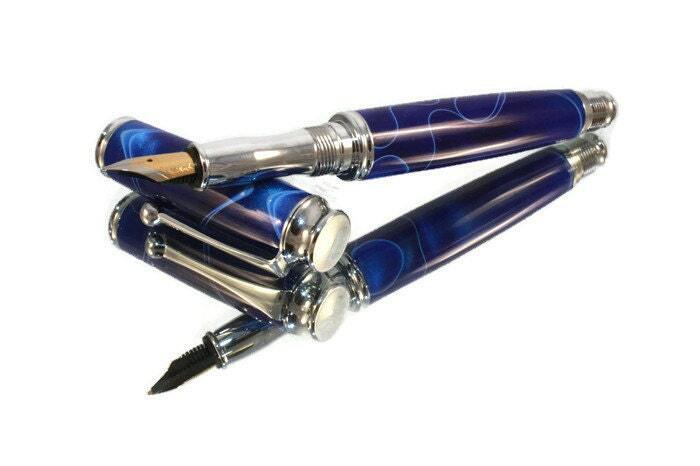 - This pen will come with five ink cartridges in either blue or black as well as a piston-style ink cartridge allowing the use of traditional ink.